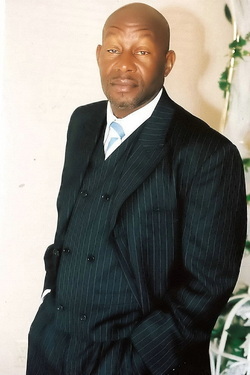 About Us - Holy Ghost Triple Portion Ministries, Inc.
"BUILDING FAMILY AND COMMUNITY THROUGH THE CHURCH"
As Pastor of Holy Ghost Triple Portion Ministries, Inc., Apostle Phelps has continuously demonstrated strong leadership capabilities that the Kingdom of God so desperately needs. He is a powerful man of prayer and a strong leader in spiritual matters, and a devoted family man, to both his ministry and his family. Apostle Phelps is married to his lovely wife Prophetess Gwen Phelps, and a loving father to his son Moses, and an equally loving grandfather to three wonderful grandchildren in whom he is very proud. He also has a grand and loving relationship with his extended family, a daughter Latasha, a son Michael, and two additional grandchildren. His great love for God is manifested by his faithfulness, integrity and loyalty to his family, his ministry and his community, as well as to the Kingdom of God. Prophetess Gwendolyn Phelps serves faithfully and whole-heartedly as a wife as well as a Co-Pastor. She fulfills many demanding and time consuming responsibilities as First Lady of the ministry. She is continuously driven to encourage all women to establish and maintain a personal relationship with God. Her heart's cry is to please the Lord and to be used for His glory in His service.